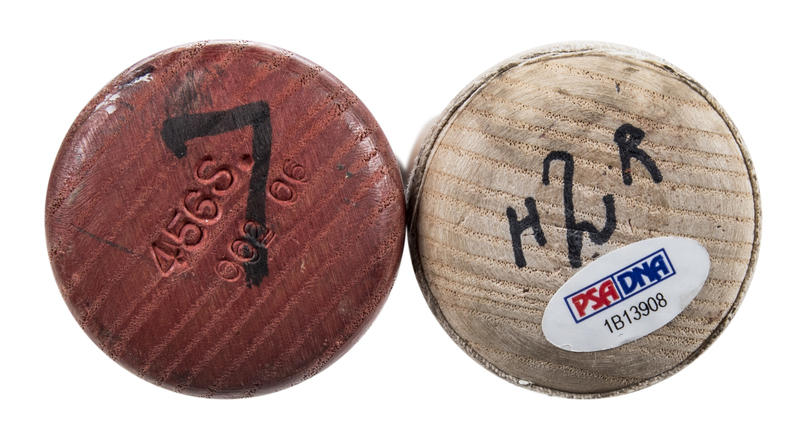 Offered in this lot are two game used bats from Hanley Ramirez and Jose Reyes used during the 2006 season. 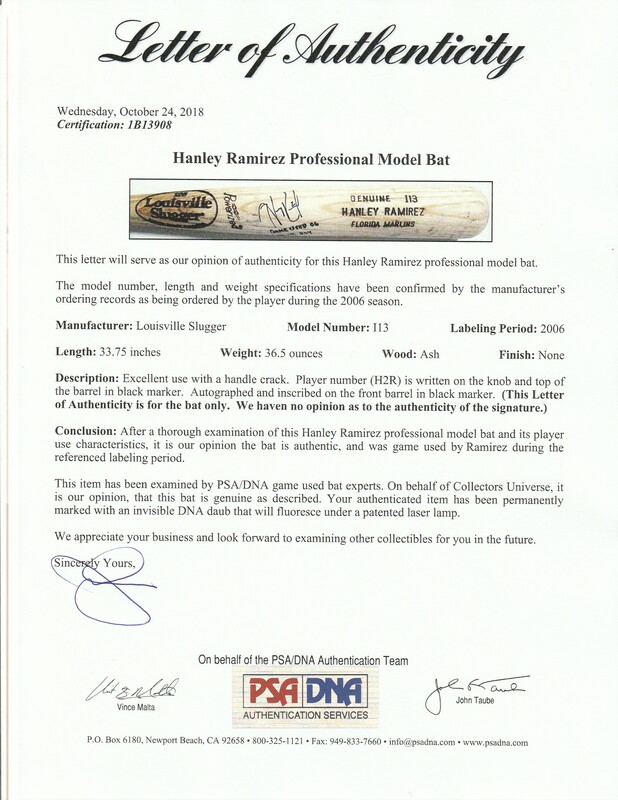 The first bat was used by 2006 National League Rookie of the Year Hanley Ramirez during his ROY 2006 season. This Louisville Slugger I13 model bat displays excellent game use and has a crack on the handle. “H2R” is hand written in black marker on the knob and top barrel. The barrel itself displays ball marks and blue ink transfers. 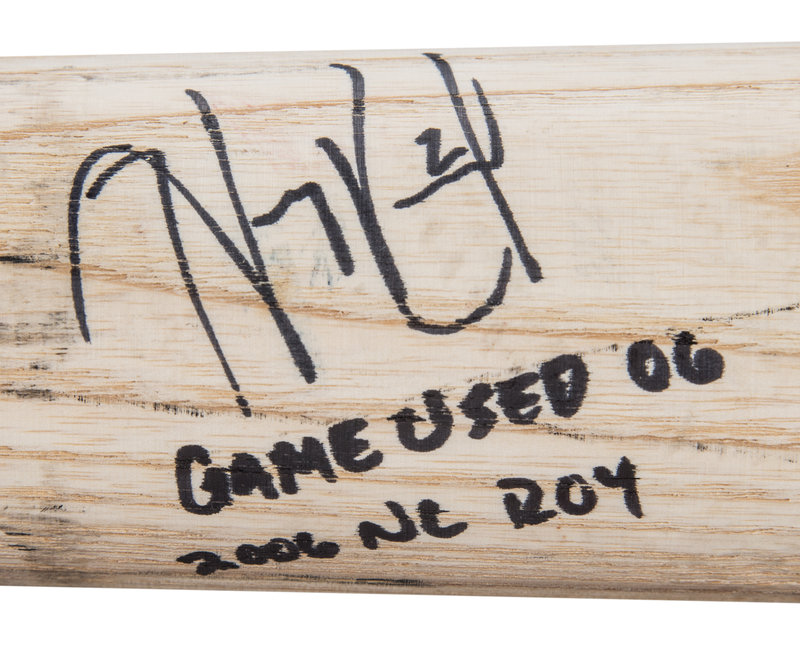 Ramirez has signed the barrel of this bat in black marker and inscribed “GAME USED 06 2006 NL ROY”. This bat comes with a LOA from PSA/DNA (1B13908) for the game use. Ramirez's signature has been pre-certified by Beckett Authentication Services. The next bat was used by Jose Reyes in 2006 and is a Rawlings 456B model. This bat displays outstanding use and has a crack on the handle. There are ball marks, stitch impressions, green ink transfers and white leather scuffs throughout the barrel. Reyes’ number “7” is hand written in black marker on the knob and top barrel, while the model number “456B”, order number “002” and year “06” are stamped on the knob. 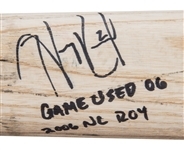 The green marks on the bat are an indication that this bat was most likely used during batting practice, however, it’s also likely he used this bat during games. This bat comes with a LOA from PSA/DNA (1B15400).